You can save a lot of money by skipping a few full price items. Here are 10 things you should never pay full price for. Some things in life should be free or at least really low cost. 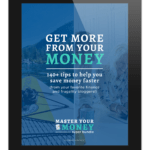 When you start living frugally, you will find yourself almost addicted to saving wherever you can. It becomes a game to see what you can get for little or no cost. There are many things you should never pay full price for. Some people may start to accuse you of being cheap, but I say you are being smart and you can just giggle inside at how they are paying full price and you are getting a rockin’ deal! 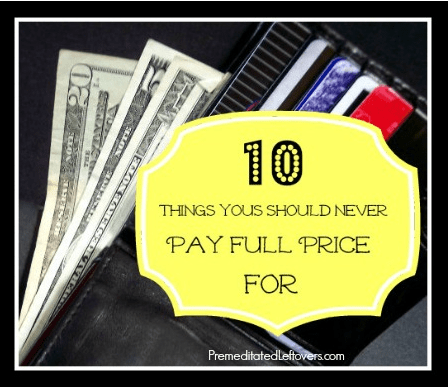 In this post, I will show you 10 things you should never pay full price for and some you should never pay for at all! 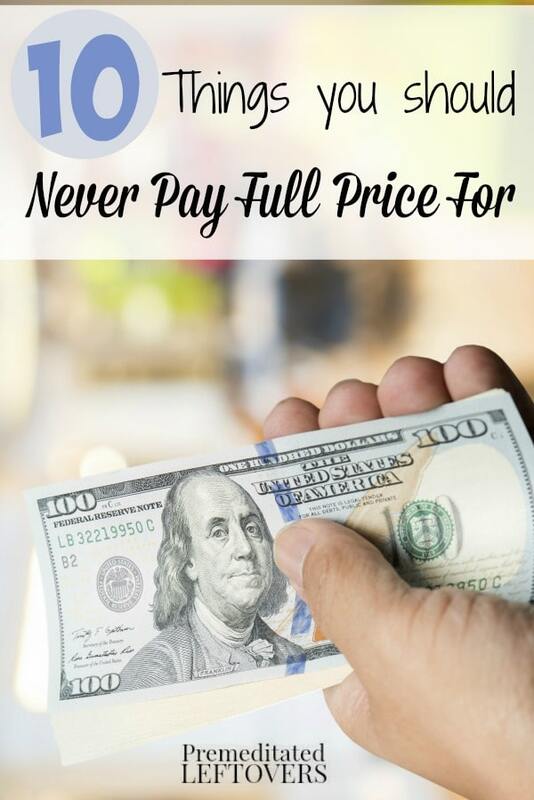 You will be amazed at what may be on this list and I hope you will find more ways to get out of paying full price for things you use commonly. 1. New songs for your iPod. Sure, it is illegal to download songs most of the time, but many sites feature up and coming artists who give their permission to release their songs for free to anyone who wants to download them for a period of time as a promotion. Sites like Amazon even have a section in their MP3 shop for Free MP3 Downloads . Also, many radio stations offer free downloads for the taking if you do a survey. 2. Laundry supplies. I can’t stress enough how cheap it is to make your own laundry soap. It will be pennies per load. Laundry soap sold on the shelves has a very high markup and is often full of chemicals. If you make your own, you have control over what goes into it as well as what it smells like. You can add essential oils in virtually every scent available. 3. Classic books in e-book format. Many times, the copyright has expired on very old books and they are available free in e-book format. Get your hands on them on Amazon and other online bookstores. 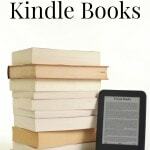 Here is how to find free ebooks for Kindle and how to find free ebooks for Nook. 4. Clothing – especially for kids. Kids go through clothes so fast. Keep up with it by shopping thrift stores (many of them have brand names!). If you must have new clothes for them, shop on the seasonal clearance racks for next season. If you want a new coat, for instance, buy one 1-2 sizes larger than they wear now for next winter. This way you will always have a wardrobe ready for them each season. I bought a coat for my daughter this last winter on the clearance rack. It was originally over $100, but I got it for over 93% off at $7.00 in March. This is almost always true if you wait to see with sales. While you may miss out on the best selection of sizes and colors, when you get a discount like the one I mentioned, it was well worth waiting for! 5. Magazines. You can get these free at the library in many places. You can usually check them out, and some libraries even offer a bin that people can toss their used magazines in for others to take. If you are too busy to do this, seriously consider a subscription. You can save a lot with magazines now almost getting desperate for subscribers. DiscountMags.com has deals all the time, many for less than $10 and they sometimes offer buy one year, get one year free deal. 6. Car Rentals. Never wait until last minute to rent. Car rentals are like plane tickets; the further in advance you book them, the more you save. Also, the last time I rented a car for a road trip, I was amazed at the crazy difference between various companies' prices. Always shop around. Also, if you are staying at a hotel that offers a shuttle, see if they offer it to other places besides the airport. You may not even need to rent a car if they do. Here are more tips for saving money on travel. 7. Baby Food. It is so easy to make your own baby food and virtually free since babies can pretty much eat what you are eating if they are on solids. Having peas with dinner? Just give them a whirl in the food processor. If you need some to take on the go, make ahead and store in small reusable containers. 8. Toothpaste and Toothbrushes. Ask your dentist if they have any to give away. Many times, especially at pediatric dentist offices, they have a plethora. No need to buy it if you can get it for free! You can also use coupon stacking on top of sales to get many personal care items for free. 9. Eating out. There is absolutely no reason to pay full price when eating out. You can check your local paper for deals, coupons, etc. 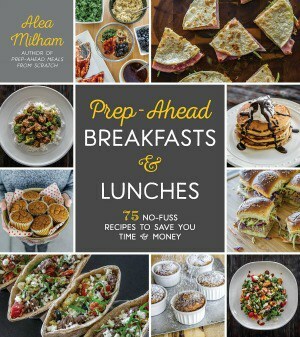 Often there are discount books you can buy for your area that offer 2 for 1 deals on local eateries. Places like Restaurant.com offer you the opportunity to “buy” deals such as saving $10 off a ticket of $20 or more at a local place. In addition, a lot of places are now offering loyalty cards that allow you to cash in on free food just for eating there as well as free birthday and anniversary meals. Combine that with the coupons and you will never pay full price again! 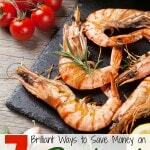 The daily deal sites such as LivingSocial and Groupon often include deals on dining out. You can also subscribe to email notifications about deals in your city and find offers up to 75% off for local restaurants. 10. Scratched and Dented Items. There is a reason many people buy these. You should never pay full price for an item that has a small flaw. If it is dented, missing a button or has a small tear, always ask if you can get a discount. Some stores will give you up to 50% off for these items and others will have a hard time budging on it, but it is always worth a try. Start saving by buying smart and paying attention to these things you should never pay full price for. The library can also be a source for free music. Our library is a member of Freegal. As such, I can log in with my library card and legally download up to three free songs a week. Their selection may not be quite as extensive as iTunes or Amazon, but they still have an overwhelmingly large selection! My library offers free magazines through Zinio. I log in with my card number and download as many magazines as I like to my e reader through the Zinio app. Also, Zinio occasionally gives me credits which I then use to subscribe to other magazines at no cost. That is great! Thanks for sharing; I am going to look into Zinio.